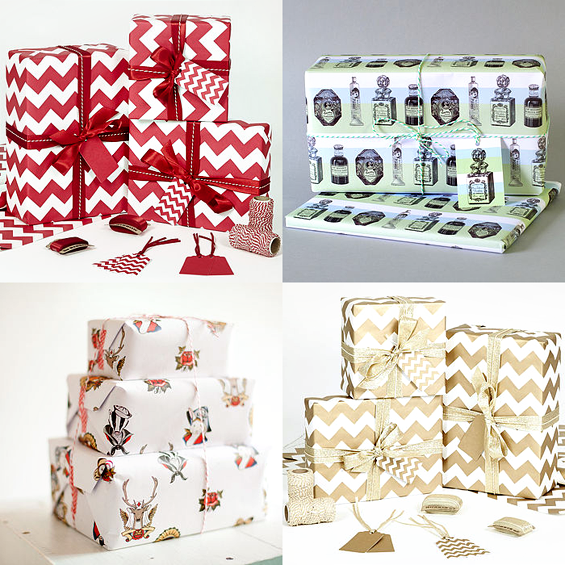 Perfectly Pretty Presents - Sugar, Darling? I personally think that the way to make any celebration really special is to pay attention to little details which might usually be forgotten or ignored. Finding the prettiest candles you can for a birthday cake, dressing the dining table to a nice colour scheme or making sure you have your guest's favourite songs ready to play if you're having are party are lovely little touches you can add to make an occasion that extra bit memorable. One of my favourite things to do when it comes to present giving season is to wrap everything to a theme. I do this every year most of the time heading to Paperchase or IKEA for my wrapping stuff as they always lovely unusual designs, although this year I actually bought my wrapping paper from Primark - it's a fabulous festive Muppets print mainly in greens and reds and I'll be accenting it with miniature gold tinsel that I got from IKEA and glittery red bauble tags from Tesco. The wrapping papers above are all from fabulous Paperchase, a shop which I just cannot walk by without going in for a browse and usually coming out with a silly stationery purchase. 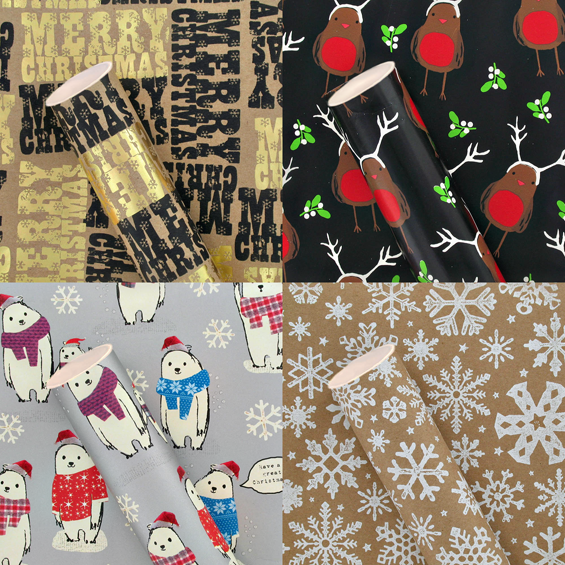 They really know how to do gift wrapping an always have an amazing selection of wallpaper worthy wrapping paper designs and cute quirky tags and decorations as also demonstrated by the adorable deer tags above! I really love these wrapping accessory packs that they do too, it makes it so easy to just grab a box and be all set than to have to buy the pieces individually. Plus, I just love shredded foil for padding out boxed gifts! 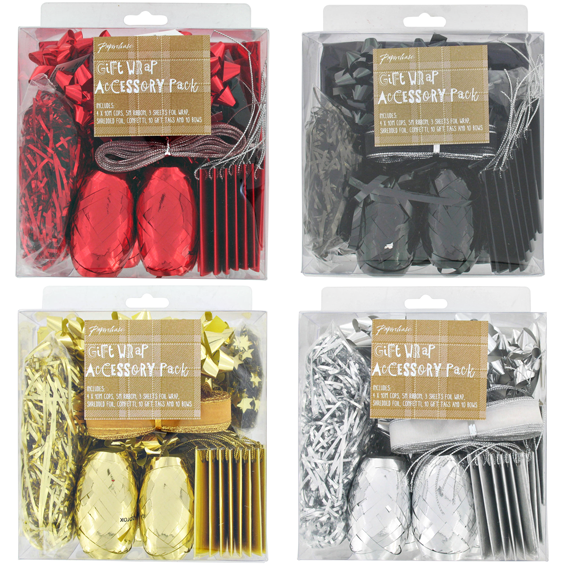 They are available in red, black, gold and silver so you're pretty much covered no matter what wrap you go for. 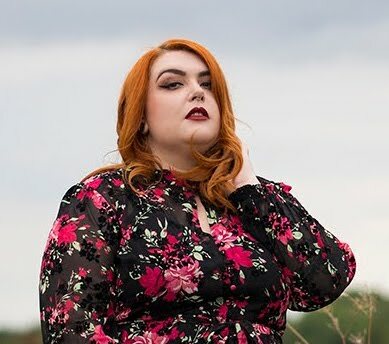 Now if you're looking for something even more unusual or something handmade, Not On The High Street has some great offerings. I think the red and gold chevrons look great especially all stacked up together, and I couldn't resist the perfume bottle print and cute animals in tattoo style designs! 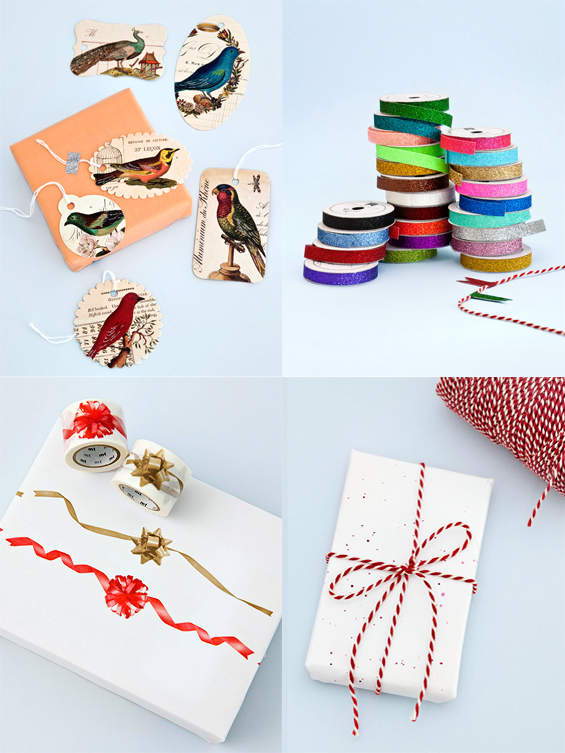 Last but not least I wanted to share a few wrapping accessories from one of my favourite online stationery stores Papermash. 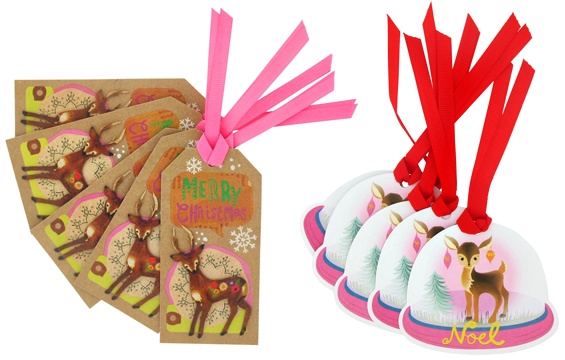 I actually found them last year when looking for a UK stockist of the Rifle Paper Co. and have loved them ever since. I have a genuine obsession with that glitter tape up there, and those bird rags are just fabulous and classic. Don't like tying ribbon? Then why not go for some of that bow washi tape or grab a roll of that darling red bakers twine which is much much easier to tie into a pretty bow! Do you wrap to a set theme? If so I'd love to know what you've gone for this year!